Good Morning! Welcome to another day of learning and exploring with Montessori Academy. Upon arrival all parents are required to sign in at the beginning of the day. Please place your child’s belongings in their locker. When entering the classroom, please remember to knock on the door, and wait to be greeted by your child’s teachers. We encourage families to say goodbye at the door so as not to disturb the children’s work. For the first three hours of the day, our toddlers participate in the Montessori work cycle. During this time children freely choose to work with a Montessori activity from one of the five curriculum areas. Children may work with one material for the whole work cycle, or they may move freely from one activity to another. 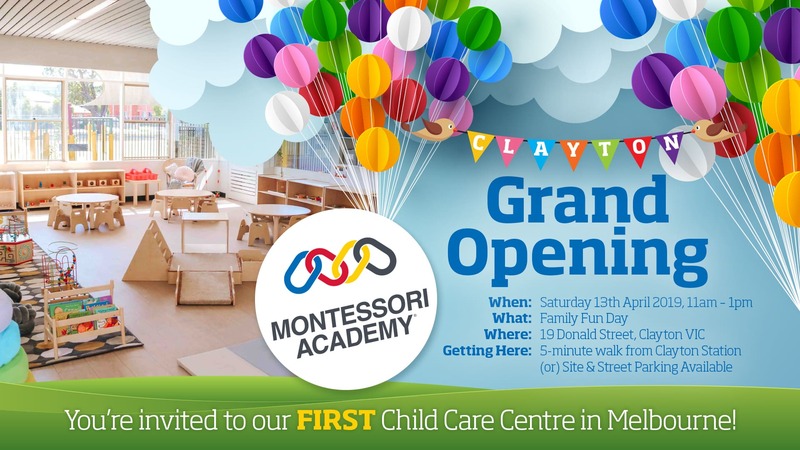 New children are guided through the activities and lessons by the Montessori trained Educators. Morning Tea is provided by Montessori Academy and is usually fruit, vegetable sticks, cheese and milk or another healthy snack. 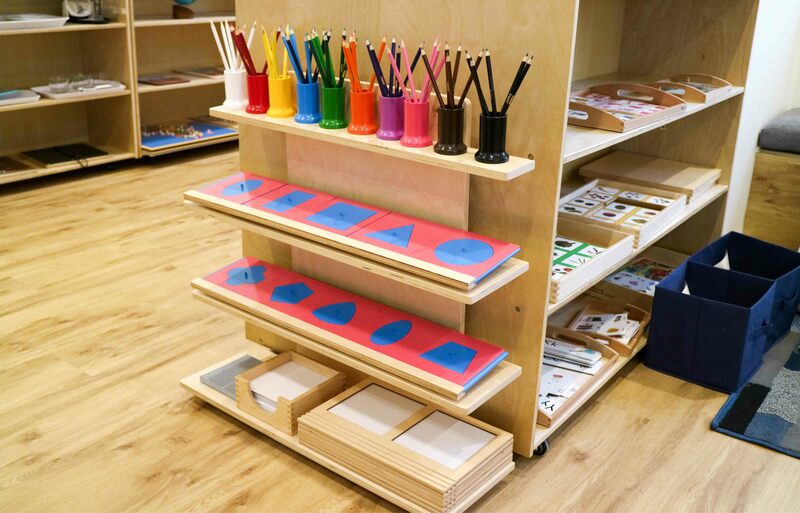 It is served during the Montessori work cycle, allowing children to continue working on the materials if they choose to do so. Children may work individually or in small groups as long as they are productive. Children conclude their Montessori activities and pack away the materials. Packing away is an important part of learning to take care of the materials and their classroom environment. Children learn the order of the environment and take pride in returning objects to their rightful place. After the Montessori work cycle is outdoor play time! Our prepared outdoor environments are designed to invite interest and activity. This environment is set up daily with rotating activities to meet children’s developmental needs and interests. Outdoor play is a time for the toddlers to socialise with other age groups and exercise their gross motor skills. Group time allows the class to develop a strong sense of community through shared learning and experiences. 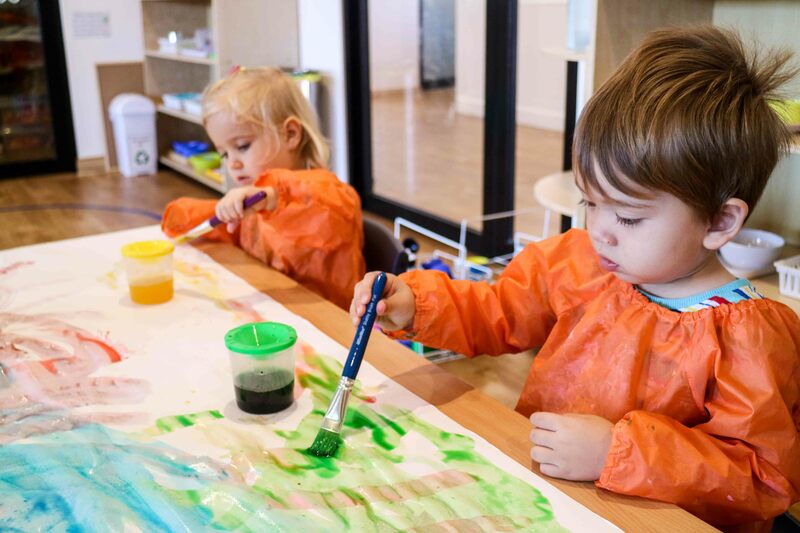 Group time activities for our toddlers typically include: show and tell, walking on the line, grace and courtesy, story time, interest based projects, music and movement, language activities, geography study, and art and craft. Working hard is hungry work! Most Montessori Academy services require families to pack a lunch for your child. Homemade food encourages children to learn about foods from different cultures, encourages food-based discussions, and fosters a greater understanding of healthy eating. Our staff are happy to heat any meals that should be served warm. After lunch is rest time for our toddlers. Each child has their own floor bed and go to sleep listing to soft music. Children who do not need a day sleep participate in quiet activities such as story time, colouring, or working with the Montessori materials. Children begin to wake up and pack away their bedding. Educators ensure each child’s bedding is packed away in their own bag, ready for the next day. Once everyone has packed away, the children prepare for afternoon tea and outdoor play. Children’s bedding goes home at the end of each week. 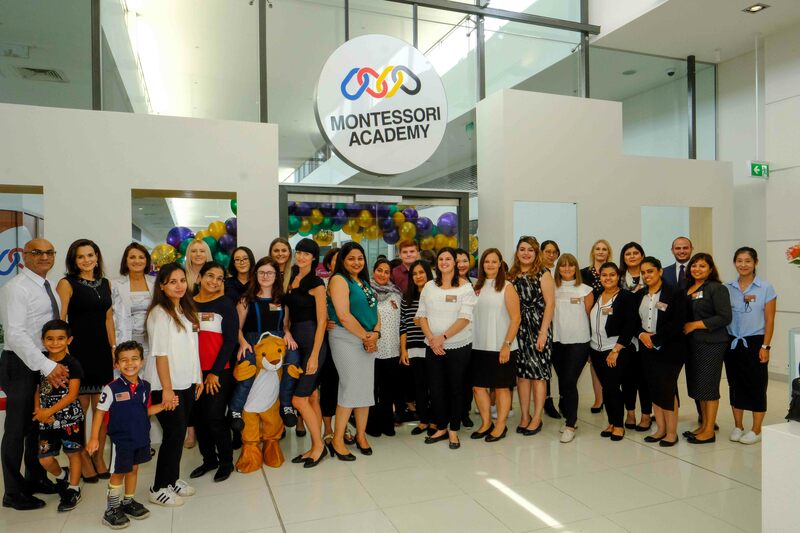 Montessori Academy provides a nutritious afternoon tea that usually consists of fruit, rice crackers, vegetable sticks, or other healthy snacks. Afternoon tea may be held in the classroom, or as an outdoor picnic. Once children have finished eating they participate in outdoor activities such as gross motor games, dramatic play, and gardening activities. Toddlers come back inside the classroom around 4.30pm for a late snack and to begin winding down for the day. Children are again provided with the opportunity to continue working with the Montessori materials. Otherwise they participate in quiet group time activities, or work on interest projects. Good evening and welcome back! Your little one is now ready to go home after a wonderful day of learning and fun. Your child’s Educators will greet you at the door and help you collect your child’s belongings. If you have any questions about how your child slept, or how much they ate, our friendly team are more than happy to assist. *Throughout the day frequent toilet times and/or nappy changes are scheduled for the children, and our Educators regularly check if your child requires an extra nappy change. *There are facilities for children to wash their hands before and after every meal and toilet break, and as needed.